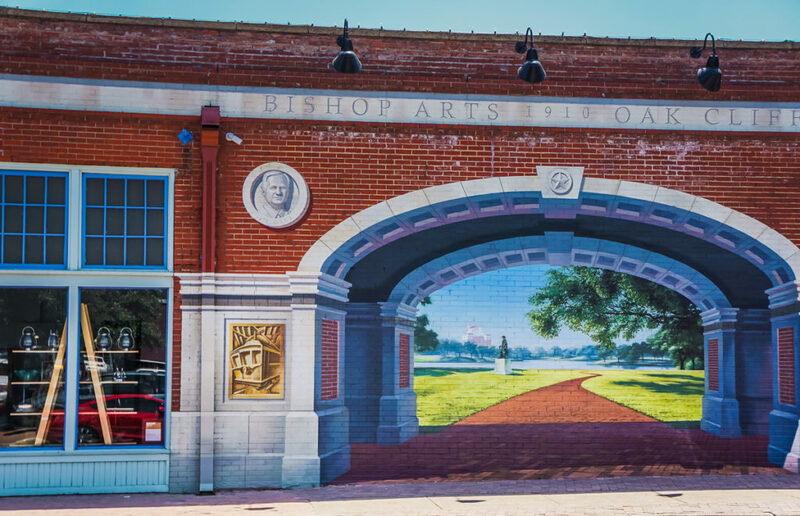 We had so much fun on our recent girl’s Sunday outing to Bishop Arts District in Dallas. 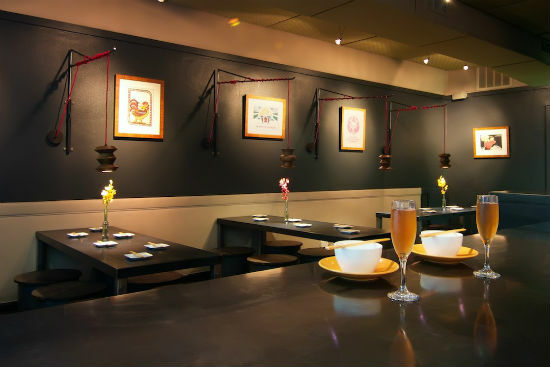 Check out the fantastic places we went below, followed by a list of our favorite restaurants, bars and shops in the area. 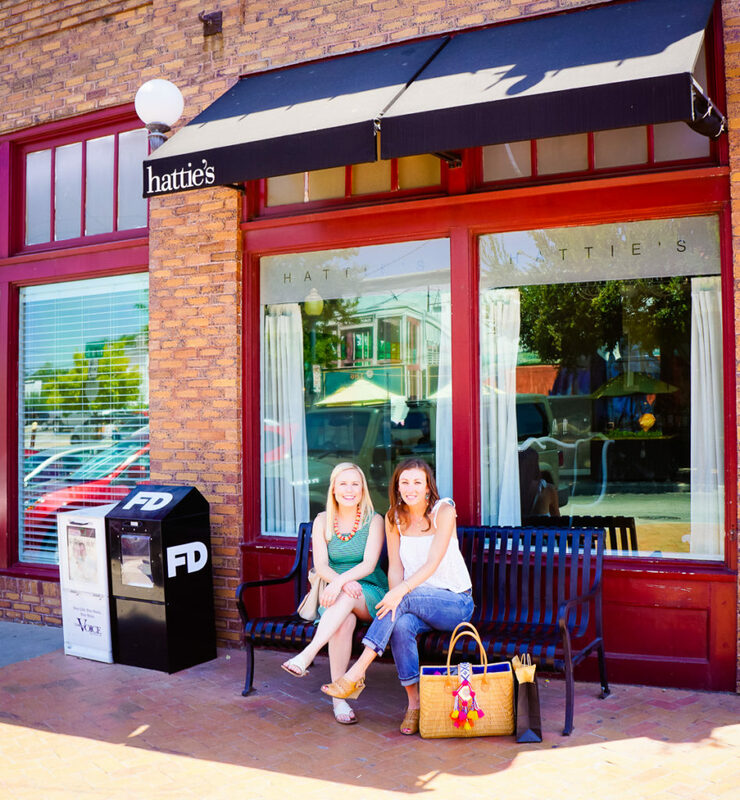 We absolutely LOVE Hattie’s! 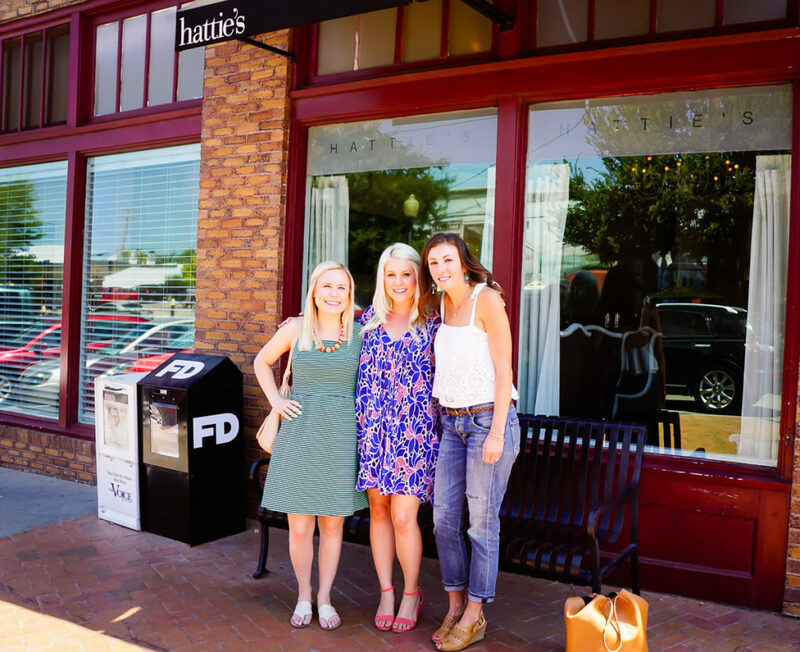 We’ve had the pleasure of dining at Hattie’s for brunch, lunch and dinner and are always so satisfied with the food and overall experience. This is definitely a tried and true favorite, perfect for taking out-of-towners to for brunch or for a romantic date night dinner. 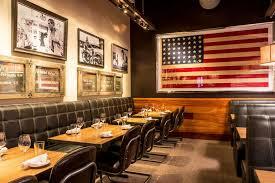 In fact, Emily had her first date here with her now fiancé! We also took our Dad here for his birthday brunch. 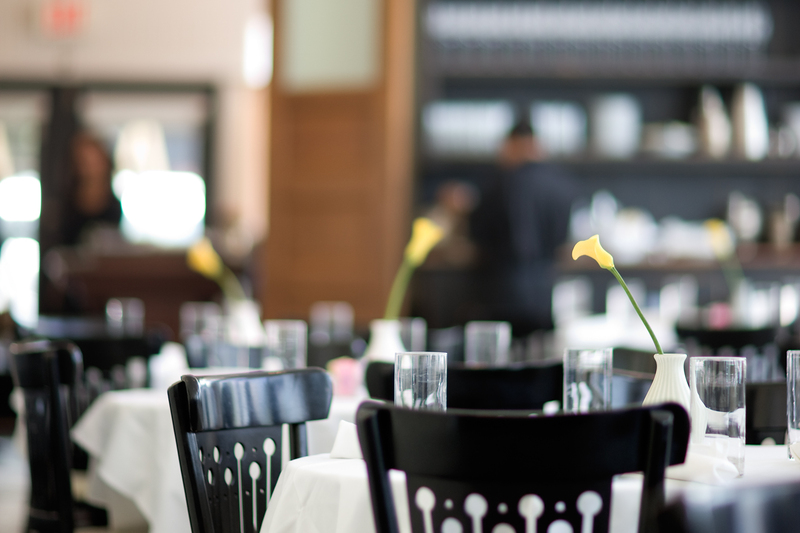 Like we said, it’s one of our favorite restaurants in Dallas. On our most recent visit, we were looking for the perfect place to take our best friend Erin to for our girls Sunday Funday outing. Clearly, Hattie’s was one of the first places we thought of – great food, awesome cocktails, and beautiful interior design. The meal started with delicious cocktails, as any good meal usually does. We ordered mimosas and Erin ordered the Pom Pom, which was made with Enrico Prosecco, pomegranate juice, a sugar rim, and a lemon twist. 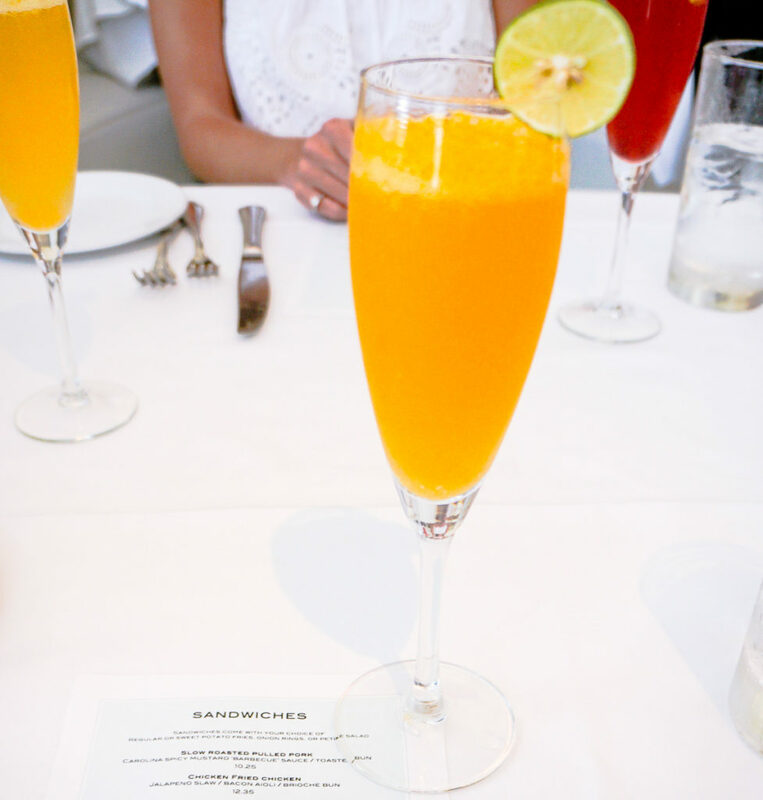 All of the cocktails were fantastic and crafted with fresh ingredients that elevated them above your standard brunch cocktails. 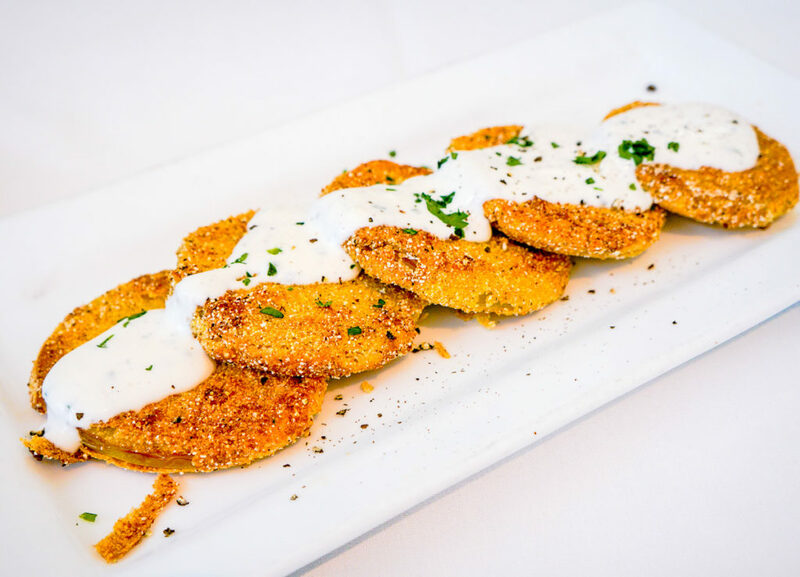 Every time we dine at Hattie’s, we order the Fried Green Tomatoes served with Buttermilk ranch dressing to start with. This dish is the epitome of Southern food and is so delicious that you will soon find yourself craving it after trying it for the first time and it will keep you coming back for more! The creamy Buttermilk ranch dressing perfectly compliments the lightly fried juicy green tomatoes with their crunchy breading. 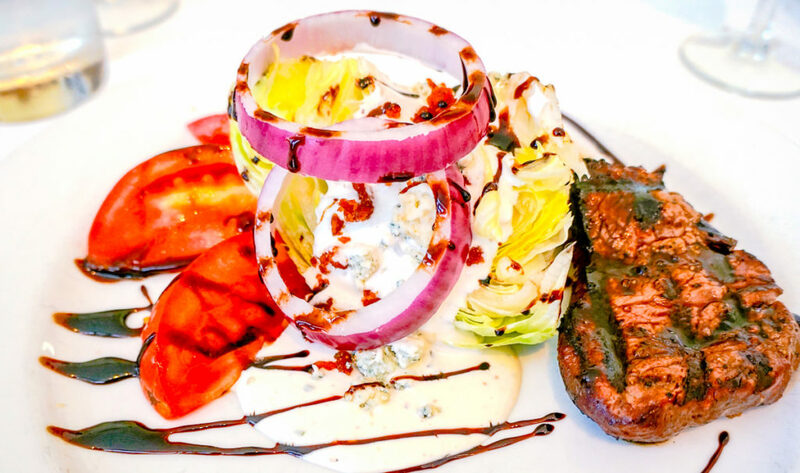 The Petite Filet & Iceberg Wedge with Maytag blue cheese dressing and a balsamic drizzle was on point. This entree salad is the perfect combination and won’t leave you hungry within the next few hours like some salads tend to do. The Chicken Fried Chicken Sandwich was topped with jalapeno slaw and bacon aioli and came on a brioche bun. 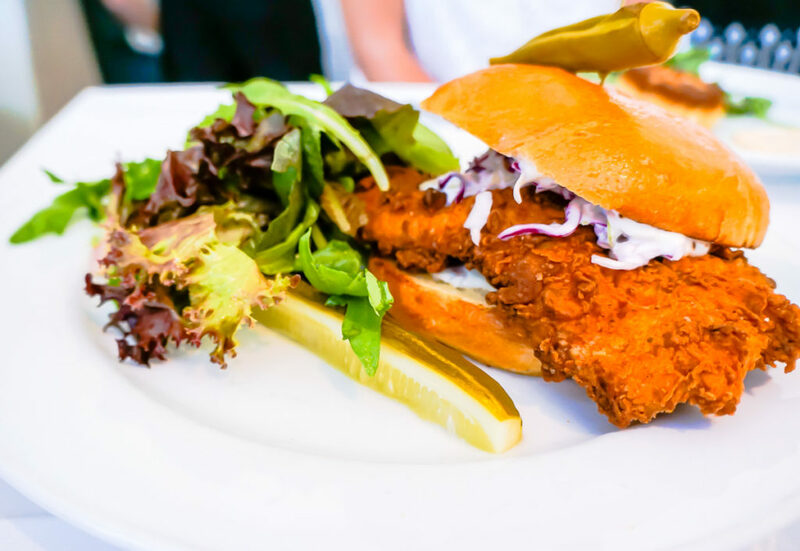 This sandwich satisfied our fried chicken craving and the jalapeno slaw and bacon aioli really kicked it up to another level – perfection. As usual, we had a fabulous time at Hattie’s – full of delectable food, refreshing cocktails and great conversation with our dear friend Erin. 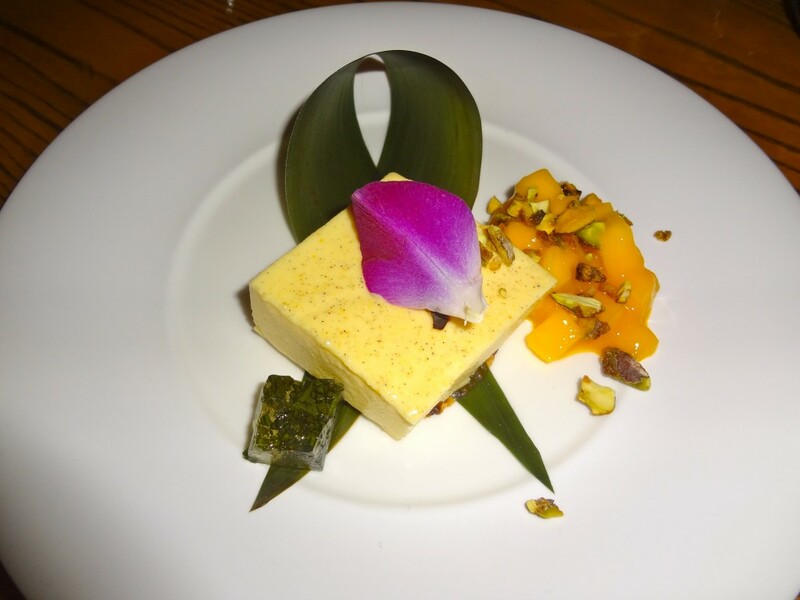 If you haven’t been yet, this is one Dallas restaurant you do not want to miss out on! 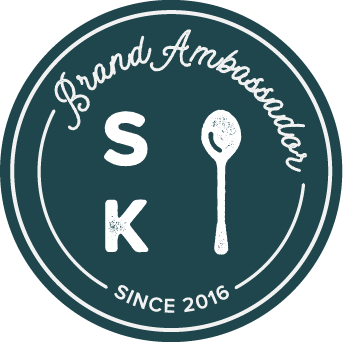 So, GO, what are you waiting for?! 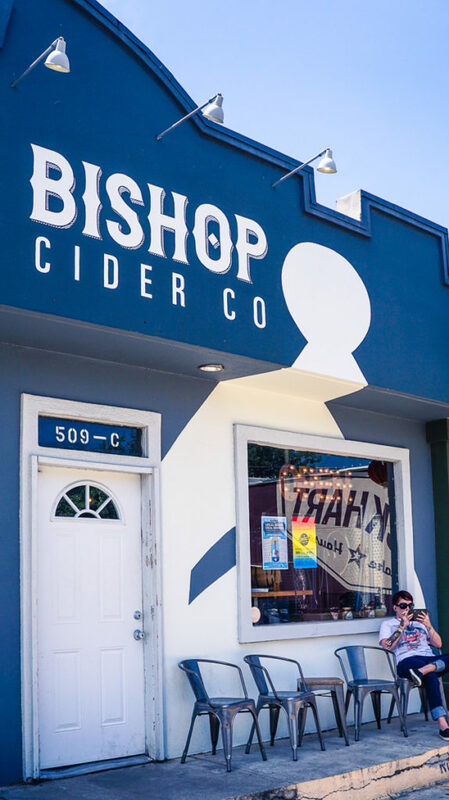 The original Bishop Cider Co. location in the Bishop Arts District (pictured below) is quite small, meaning it can get very crowded during peak business hours. 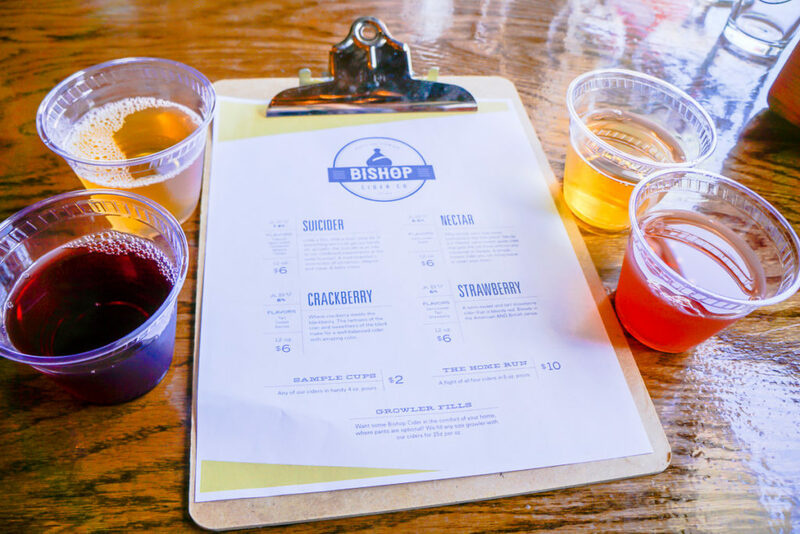 But fear not, Bishop Cider Co. recently opened a new production facility, called The Cidery, in the Design District on Irving Blvd. The original space is only 704 square feet, but The Cidery is 10,704 square feet! We shared a tasting of four ciders and then got a glass of the one we enjoyed the best. The Suicider has tasty hints of cinnamon, allspice, and clove. The Nectar cider is a filtered, semi-sweet apple cider made with a blend of varietals of Pacific Northwest Apples and a bit of Texas honey – delicious! The Crackberry cider is amazing, as one might expect from something with a name so bold. It’s made with a delicious combination of cranberries and blackberries, definitely not your traditional cider. Finally, the Strawberry cider (a.k.a. the Legendberry cider) is the perfect summer cider for all of the strawberry lovers out there! 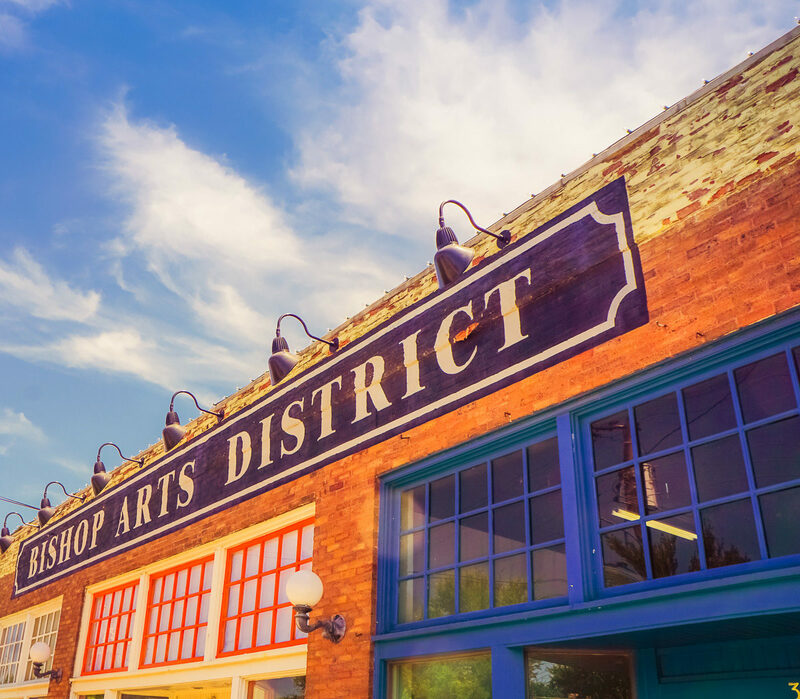 We recommend you make the time to enjoy the Bishop Arts District ASAP! 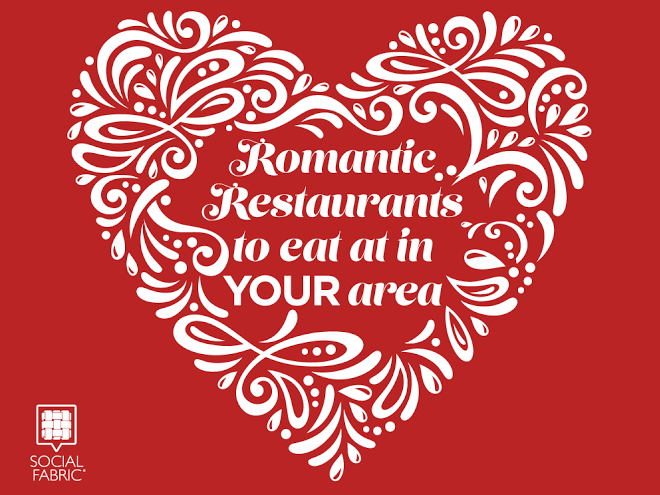 It’s definitely one of our favorite areas in Dallas and is the perfect place to grab brunch, spend an afternoon, or go out for a romantic date night. 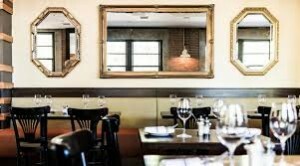 Restaurant Review: Clark Food & Wine Co.
Clark Food & Wine Co. is the perfect spot for a weeknight girls dinner or for a casual date. 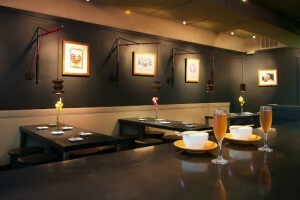 “Modern Texas Dining” is the style of cuisine here and the menu features many shared plates, as well as larger entree portions. 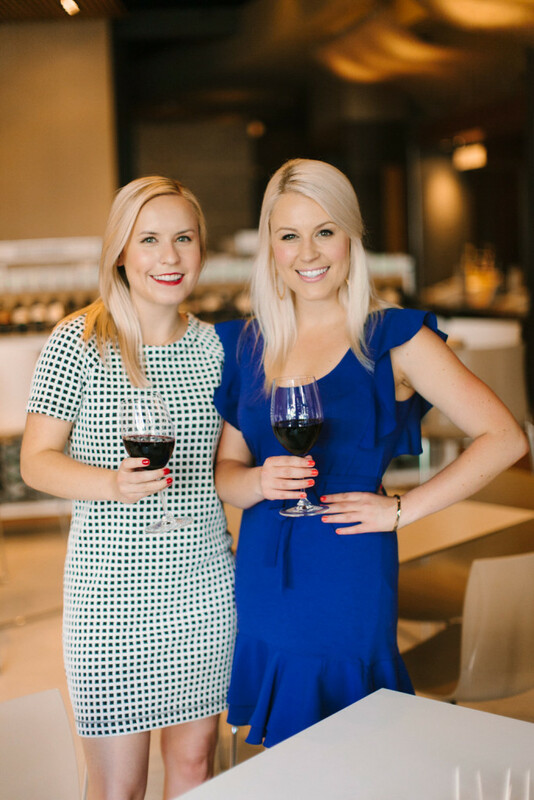 For drinks, pick a wine from their well-curated list or opt for a craft beer or cocktail. Their happy hour is from 3 p.m. – 7 p.m. Monday through Friday featuring great deals on both beverages and food and they also have brunch on Saturday and Sunday from 11 a.m. to 3 p.m.
We recently took our mom here for a girls dinner when she was visiting for the weekend. 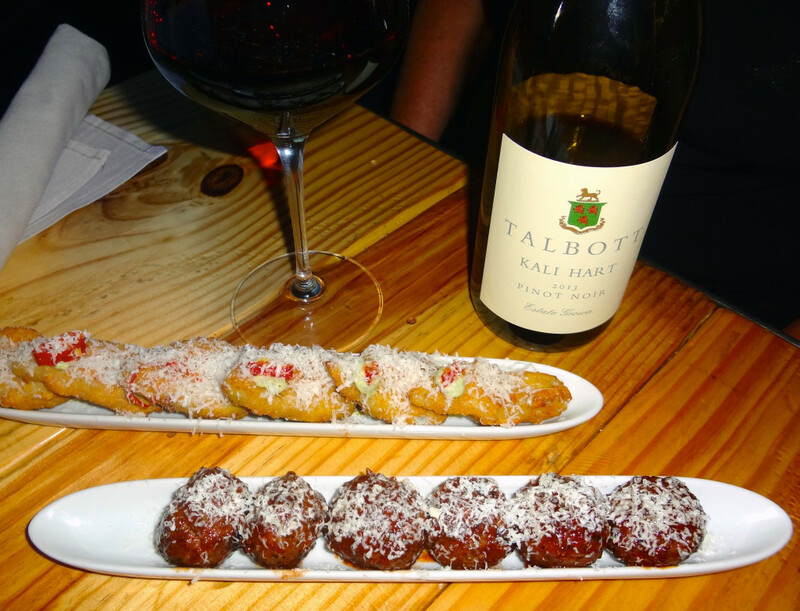 We were excited to see the Kali Hart Pinot Noir on the wine list because we recently had the opportunity to visit the Talbott Vineyards and thoroughly enjoyed all of the wine we tried. 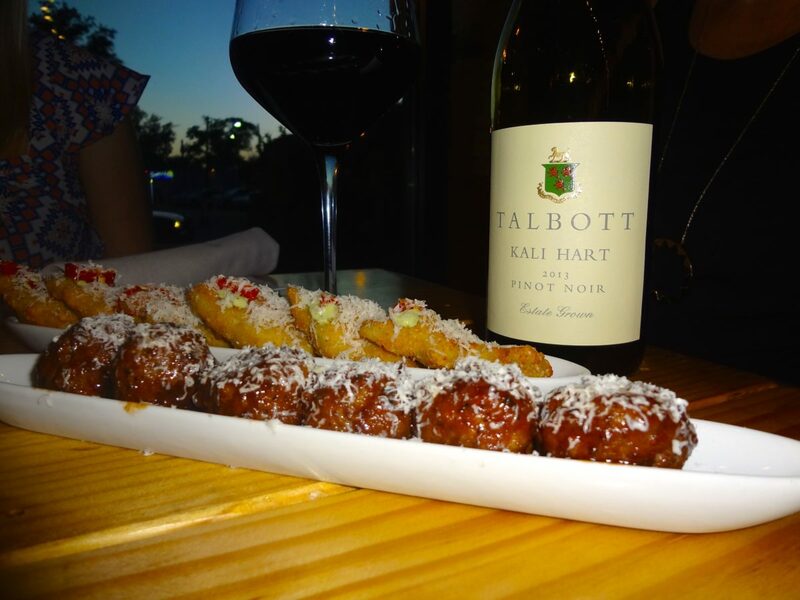 After ordering a bottle of the Kali Hart, we perused the appetizers and decided to try the Balsamic Glazed Brisket Meatballs with Blue Cheese and the Crispy Artichoke Hearts with Green Goddess Dressing and Parmesan. 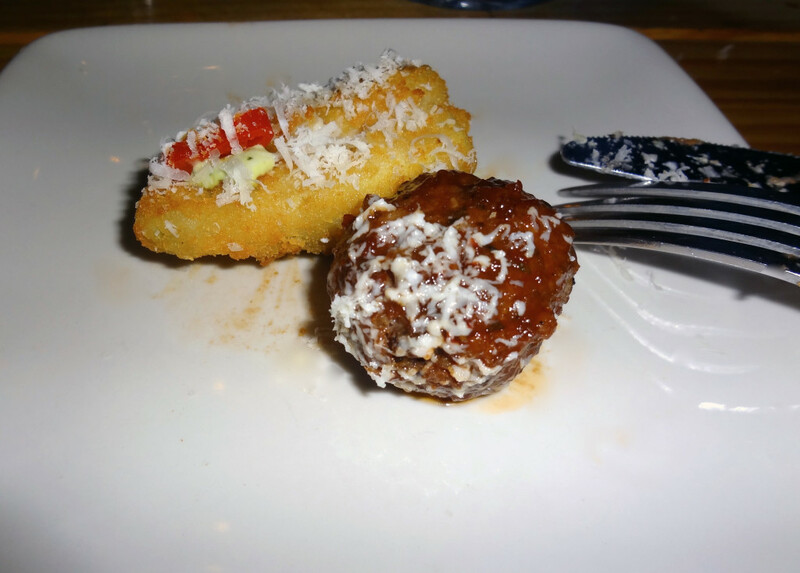 Both appetizers were phenomenal and we definitely recommend them! For our entrees, Barbara ordered the Pappardelle with Pulled Chicken, Spring Peas, Mint, Thyme, Chicken Jus, and Shaved Parmesan. 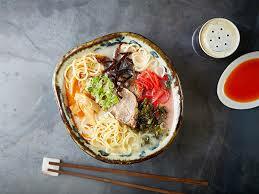 This dish was so flavorful and extremely satisfying. 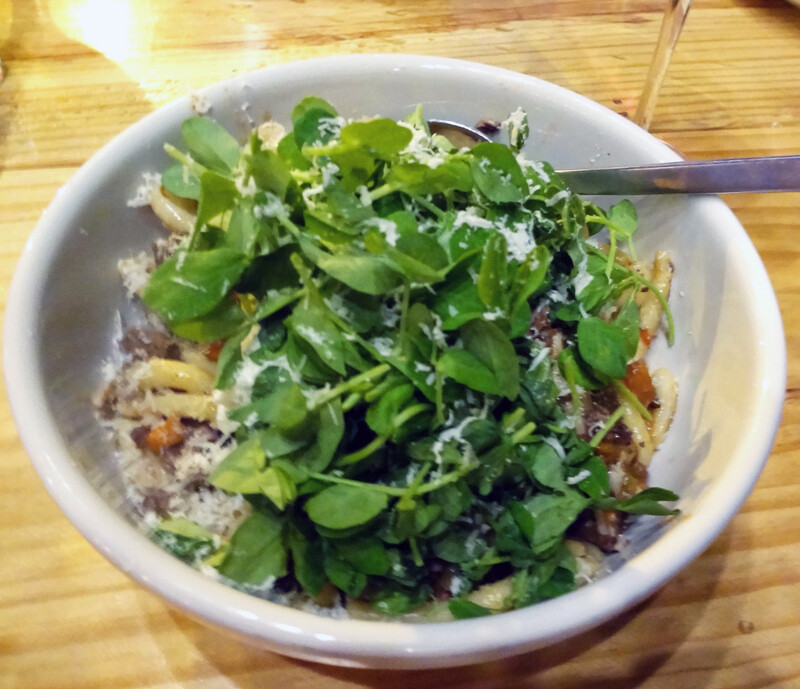 Emily ordered the Veal Bolognese that came with Casarecce Pasta, Whipped Ricotta, and Basil. Although the Bolognese was good, it was not the best we’ve ever had and could have done without the micro greens piled on top (full disclosure, we are self-proclaimed Bolognese connoisseurs). Our mom ordered the Texas Chopper salad as her entree. 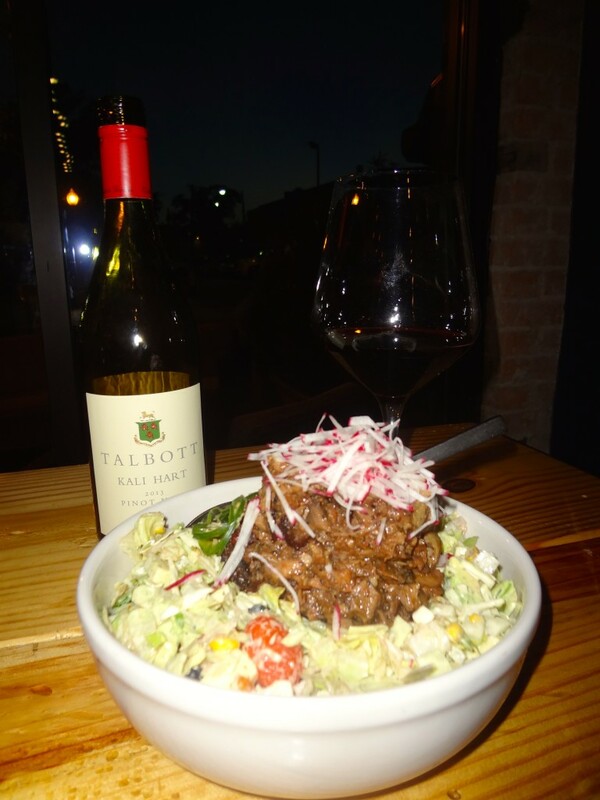 It came with Chopped Brisket, White Cheddar, Iceberg, Cabbage, Roasted Corn, Avocado, Black Beans, Cilantro, Radish, Jalapeño, Green Goddess, and Pepitas. The salad was pretty good and definitely large enough to be an entree. The brisket was truly the star of this dish. 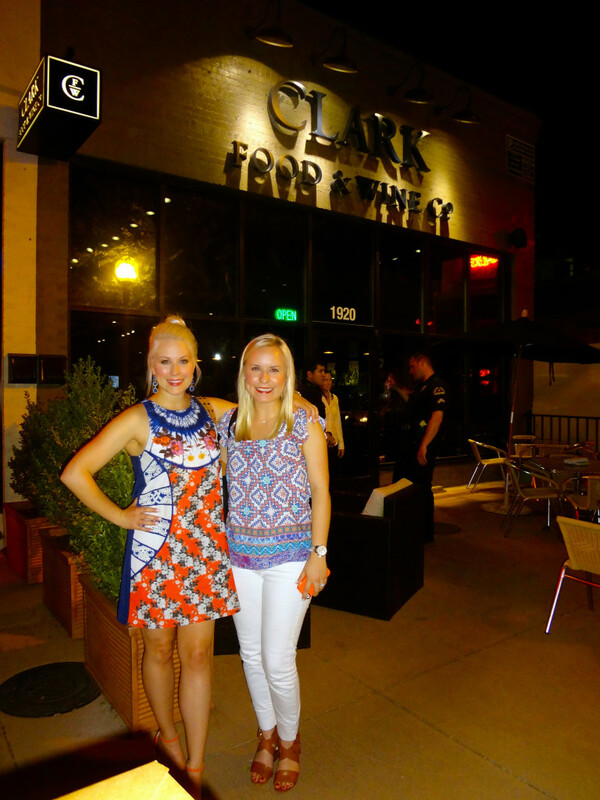 Overall, we give Clark Food & Wine Co. a thumbs-up and will definitely be back! 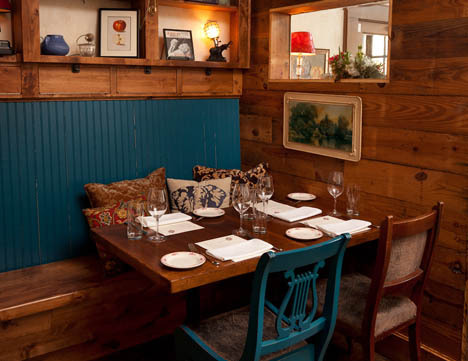 We look forward to trying some of their seafood dishes and house-made meats. 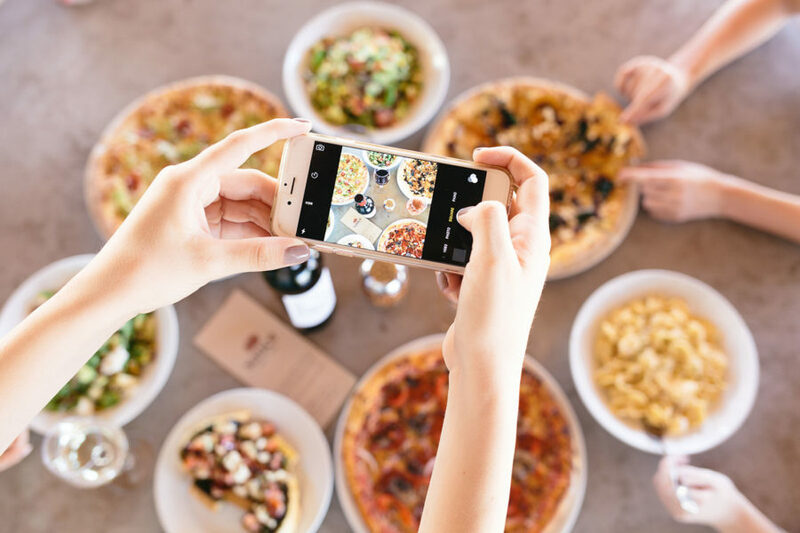 Also, this would be the perfect place for a pizza and wine night – we hear their Brick Oven Flatbreads are pretty awesome!